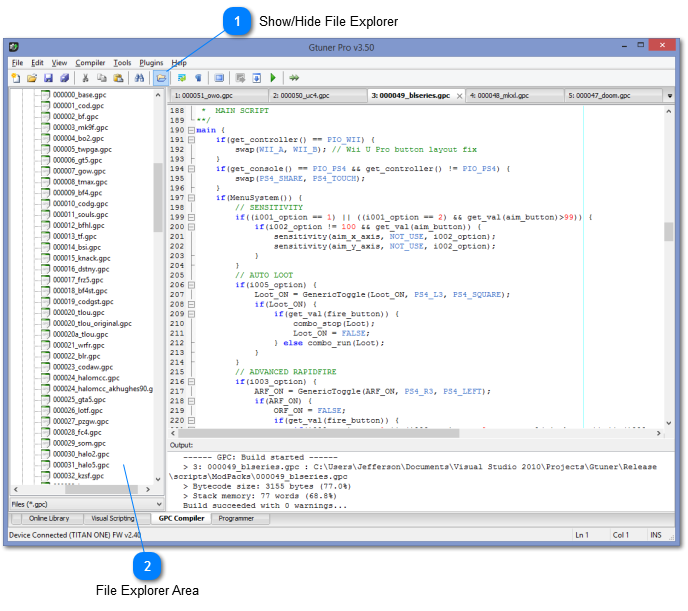 Gtuner PRO 3.50+ introduces a retractable File Explorer interface to the Compiler panel for easy access to your GPC Script files. The default folder is the same from the last opened file utilizing the open file dialog. Toolbar button to show and hide the File Explorer area. The last state is saved between program sessions. Navigate to your script directory. Double click a file to open in the Compiler editor.